Content optimized for tablets. What time is it? Adventure Time™! Explore the magical world of Ooo with Jake the dog and Finn the human, along with the Ice King, Princess Bubblegum, Marceline the Vampire Queen, and all your favorite Adventure Time characters, in this first official guide to Cartoon Network's hit animated series. 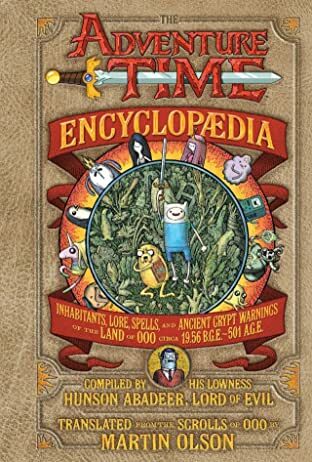 Written and compiled by the Lord of Evil himself, The Adventure Time Encyclopaedia matches the playful, subversive tone of the series, detailing everything anyone will ever need to know about the postapocalyptic land of Ooo and its inhabitants-secret lore and spells, fun places you should visit and places where you will probably die, whom to marry and whom not to marry, how to make friends and how to destroy your enemies-plus hand-written marginalia by Finn, Jake, and Marceline. 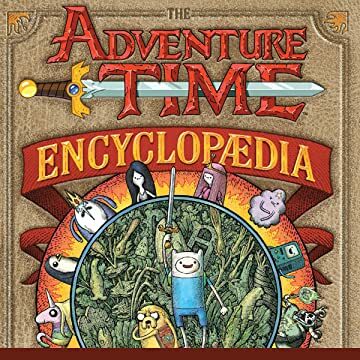 An indispensable companion to the show, this side-splittingly funny love letter to Adventure Time is sure to appeal to fans of all ages. Heck yeah!